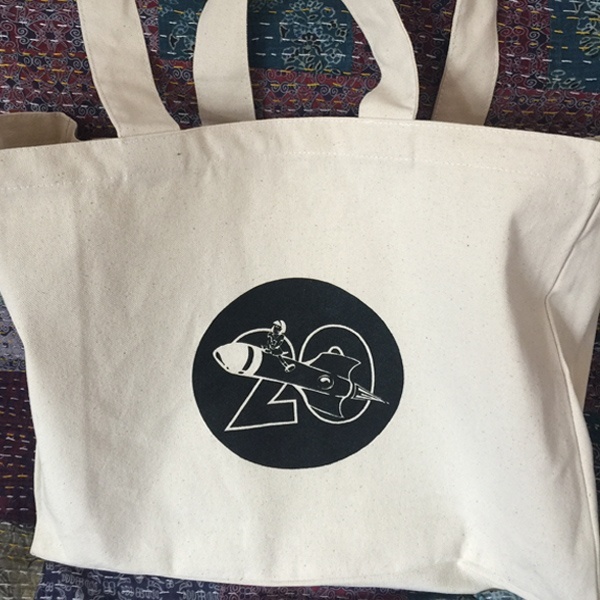 20th logo in black printed on natural colour bag. Thick fabric. This bag is very strong and spacious with two inside pockets, so useful and fits everything you need!